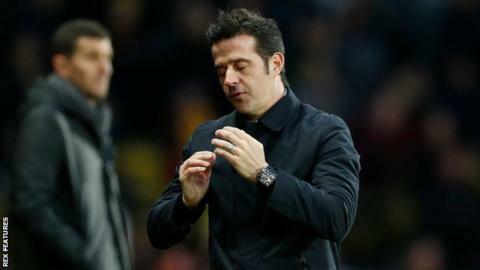 Everton and Watford have "reached an amicable agreement" after the Toffees' appointment of Marco Silva as manager. Watford reported their Premier League rivals for an alleged rule breach when the Merseyside club tried to hire the Portuguese in November 2017. The Hornets sacked him in January 2018, blaming the approach from Everton, who appointed him four months later. The Premier League had opened an investigation into the claim Everton made an illegal approach. Both clubs released identical statements on Friday, which said "both Everton and Watford are keen to move on from this matter".